Here at CUWCD, we’re wishing a good friend and valuable co-worker the best as he brings decades of public service in water conservation to a close. 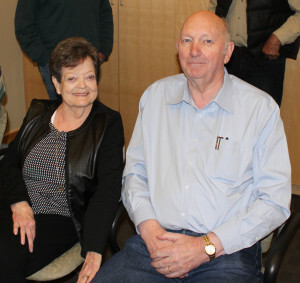 Harold Lee (H. Lee) Wimmer is celebrating his retirement, capping a career, caught on video here, that began with a Bachelor of Engineering Science degree in Civil Engineering from Brigham Young University in 1968. He later earned his Master of Science in Civil Engineering from the University of Southern California and worked in Los Angeles before returning to Utah as executive vice president, comptroller and a principal of Horrocks Engineers. His run with the Central Utah Water Conservancy District began as a consultant with the Central Utah Project Completion Act (CUPCA) team in 1991. There, he developed the Master Program Schedule. Three years later, he joined the staff as assistant general manager, CUPCA program manager and CUPCA Construction Manager, responsible for completing the $1.8 billion Central Utah Project. And that doesn’t even touch on the numerous community and state service projects he founded, joined and led through the years. Are we going to miss him? You know it! But we’re sure his wife, Connie, his children and his grandchildren will find plenty of ways to keep him busy.